"Alex Chan has been much more successful as White. With the white pieces, he plays very well against strong opponents. With the black pieces, he plays very well against strong opponents also. Rapidly rising rating reflects player's true strength. When playing Black, He should try to convert unfavorable positions into draws where possible. 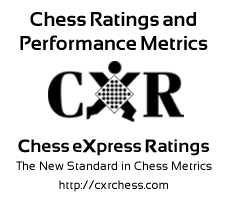 Alex has faced opponents with an average rating of 1407.2. He has improved by 561 points since 2011-11-14. "